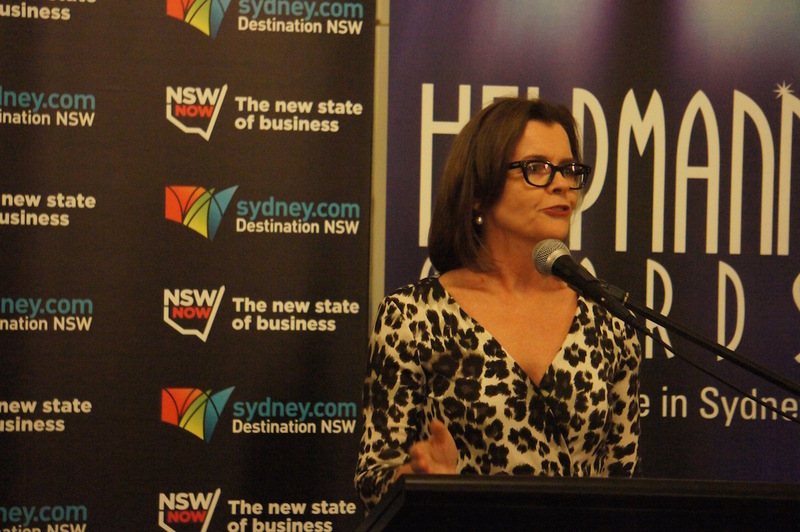 Celebrating a unique mix of opera, dance, music theatre, plays, live music and more, the 2015 Helpmann Nominations were announced this evening at performing arts venues around Australia. 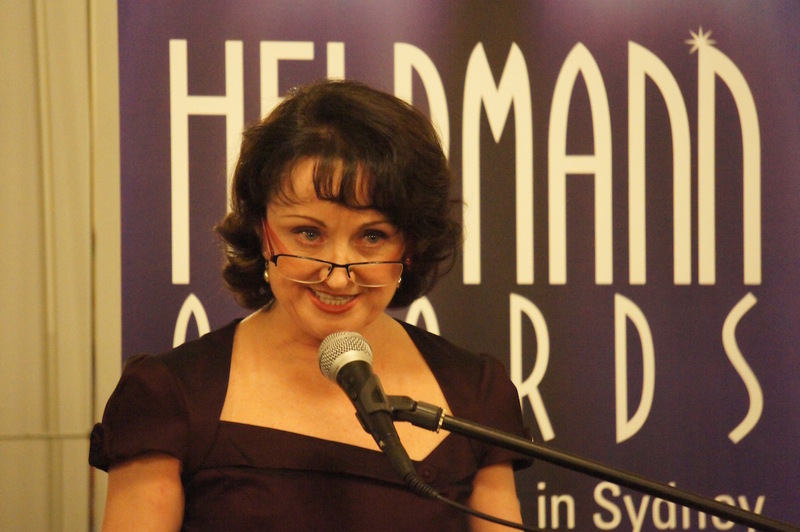 The 2015 Helpmann Awards will be presented live in Sydney at the Capitol Theatre and broadcast live on Foxtel Arts, Monday 27 July 2015 at 7.30pm. Read on for all the nominations, plus a look at surprises, snubs and possible winners. 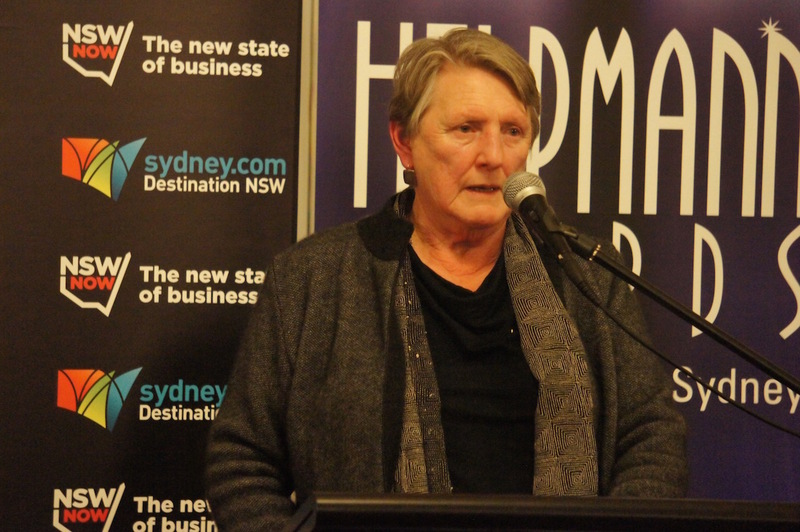 LPA Chief Executive Evelyn Richardson (above) introduced the annual awards. 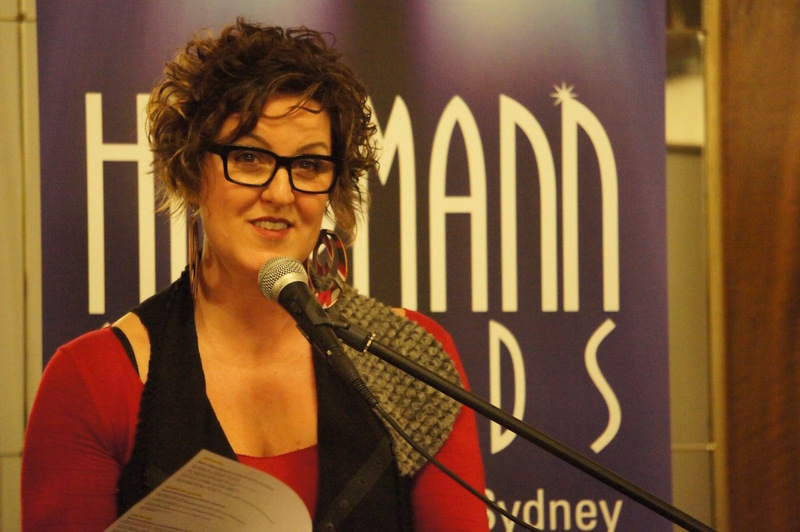 Sue Nattrass (above) spoke passionately about the ongoing legacy of conductor Brian Stacey, and introduced this year’s winner of the Brian Stacey Award for Emerging Australian Conductors, Jessica Gethin (below). 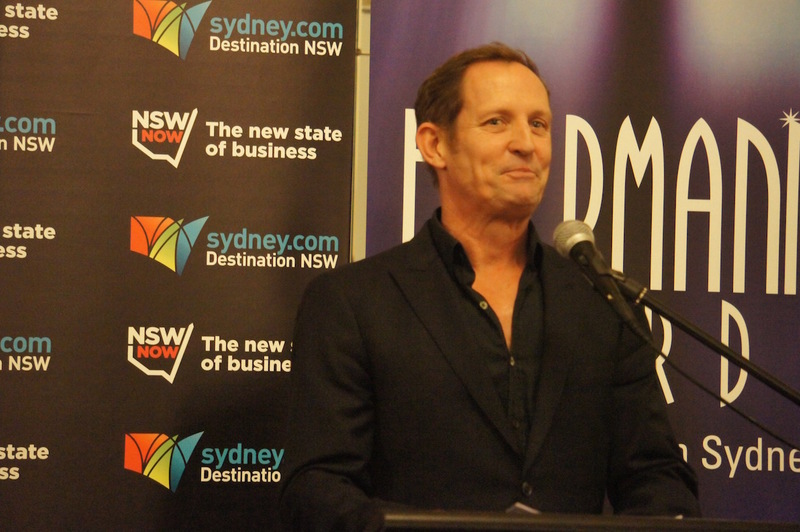 Todd McKenney (below), who will host the Helpmann Awards ceremony, introduced the evening’s guests who were there to read the nominations. Amy Lehpamer (below), presented with Colin Lane (below). Queenie van de Zandt (below),presented with Joel Creasey. 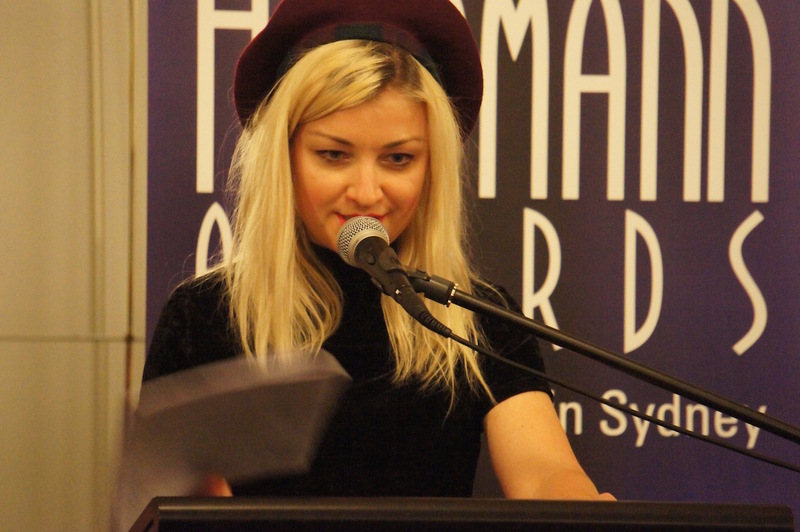 Kate Miller-Heidke (below), presented with Ash Flanders. Caroline O’Connor (below), presented with Wayne Scott Kermond. A good number of last year’s nominated musicals, such as Strictly Ballroom, The Lion King, Rocky Horror Show, Sweet Charity and Grease, have continued to play into this year, so the field was always going to wide open for a clean sweep by Cameron Macintosh’s new production of Les Misérables. Les Misérables earned a whopping 12 nominations, including Best Actor nominations that will see on-stage foes (but off-stage friends) Simon Gleeson and Hayden Tee go head to head. 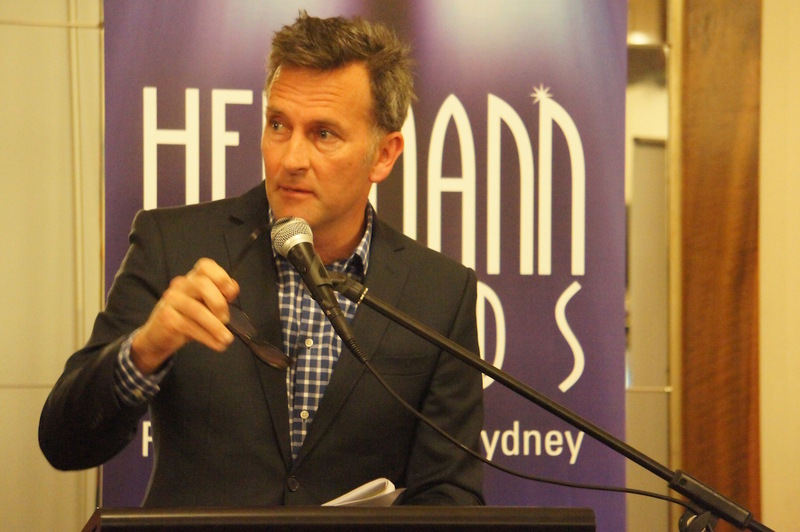 Independent musicals have continued to thrive, but the Helpmann Awards are contingent of membership of Live Performance Australia, which is mainly held by the larger commercial production companies. 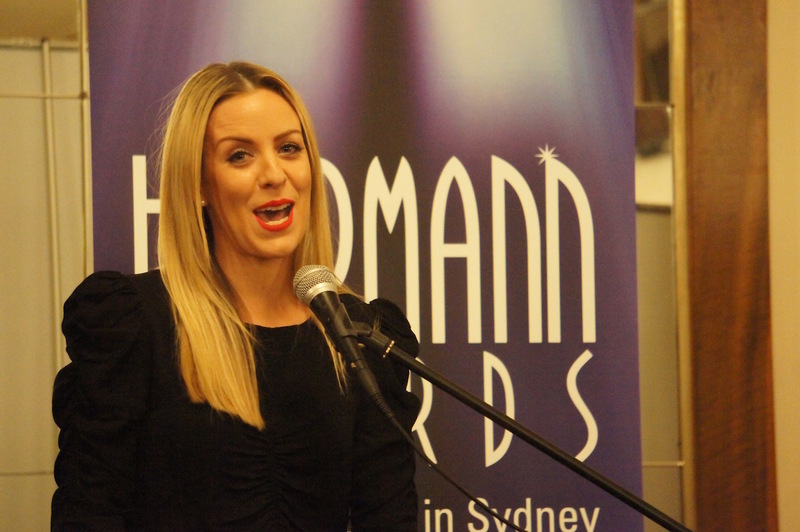 The sole representative of small-scale musicals came with a nomination for Best Actress to Helen Dallimore for Blood Brothers. In addition to Les Misérables, which would seem extremely likely to win Best Musical, other commercial productions nominated for Best Musical are Once, which closed after only presenting a Melbourne season, the newly opened Anything Goes and ongoing tour Dirty Dancing. 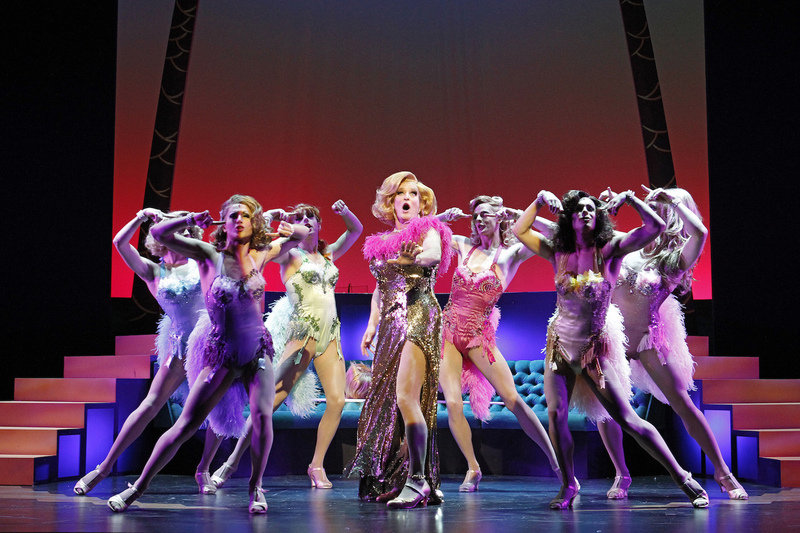 Once and Anything Goes both earned nine nominations apiece. With the relatively unique touch of an ensemble cast who played all the score, Once was a likely selection for Best Music Direction. Expected picks aboard the SS American included Caroline O’Connor for Best Actress (a likely winner), Andrew Hallsworth for Best Choreography. Odd choices here included nominating Madeleine Jones as Girl for Once without her Guy, Tom Parsons. 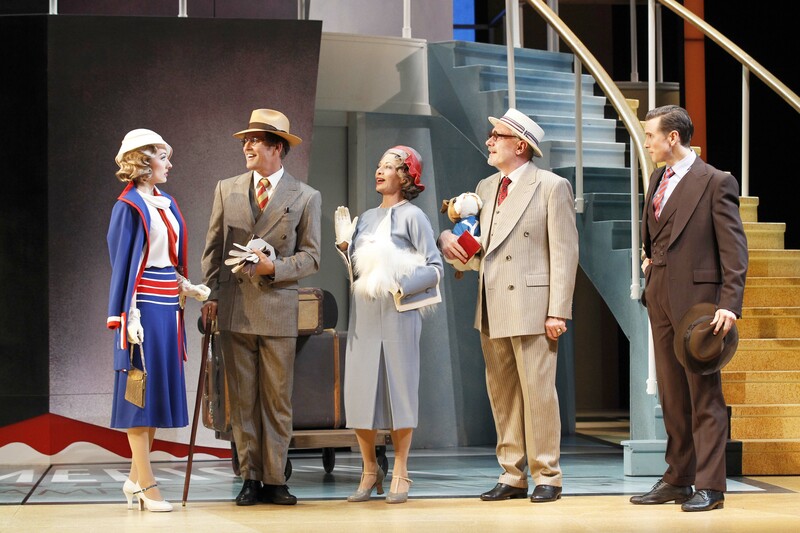 Anything Goes seemed to have the male categories backward, with Todd McKenney nominated for Best Actor for the supporting role of Evelyn while leading man Alex Rathgeber, as Billy Crocker, was nominated as Best Supporting Actor. Another duo split up by the nominations were the Thénardiers, with Trevor Ashley on the board for Best Supporting Actor but no sign of his fabulous partner in crime Lara Mulcahy. Dirty Dancing received no acting nominations, but was a worthy selection for Best Choreography. Coming off a relatively weak year, The Production Company came away with only two nominations: Todd McKenney for Best Actor as Albin/Zaza in La Cage Aux Folles (but not his stage partner Simon Burke as Georges) and Eddie Muliamaseali’I for Best Supporting Actor as Joe in Show Boat. Guys and Dolls, directed by previous winner Gale Edwards and starring previous winner Verity Hunt-Ballard, was completely overlooked. Lucy Maunder was rewarded with a Best Supporting nomination as Cinderella in Victorian Opera’s Into The Woods, while Queenie van de Zandt was overlooked as The Witch as was Christina O’Neill as The Baker’s Wife. Opera Australia scored a decent number of acting nominations, with two each for Teddy Tahu Rhodes and Nicole Car. On the brink of stardom, Car is set to make her Covent Garden debut later this year. Sir David McVicar’s productions of Faust electrified Sydney this past summer, and earned nomination for Best Opera and performance nods for visiting US tenor Michael Fabiano as well as Rhode and Car. Hopefully this production will be seen in Melbourne next year. Italian baritone Claudio Sgura was nominated as the malevolent Scarpia in the return of John Bell’s new Tosca, but his colleagues playing Tosca and Cavaradossi in Melbourne and Sydney seasons were overlooked. 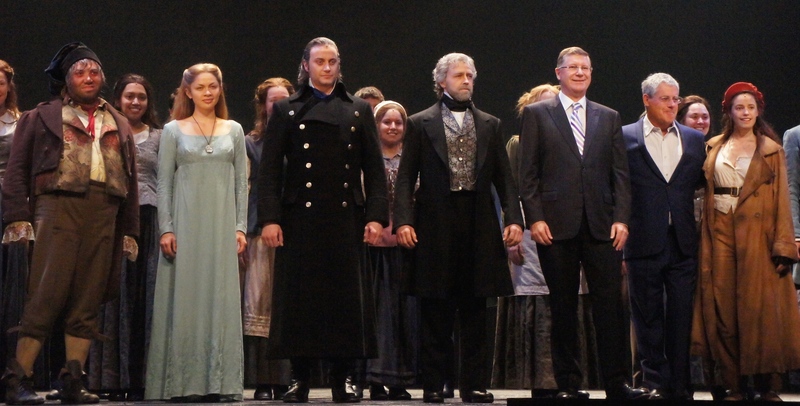 McVicar’s new Don Giovanni scored nominations for Rhodes, in the title role, and Shane Lowrencev as manservant Leporello. Two of the three women romanced by the Don were nominated, Taryn Fiebig and Car, with guest soprano Elvira Fatykhova missing out. 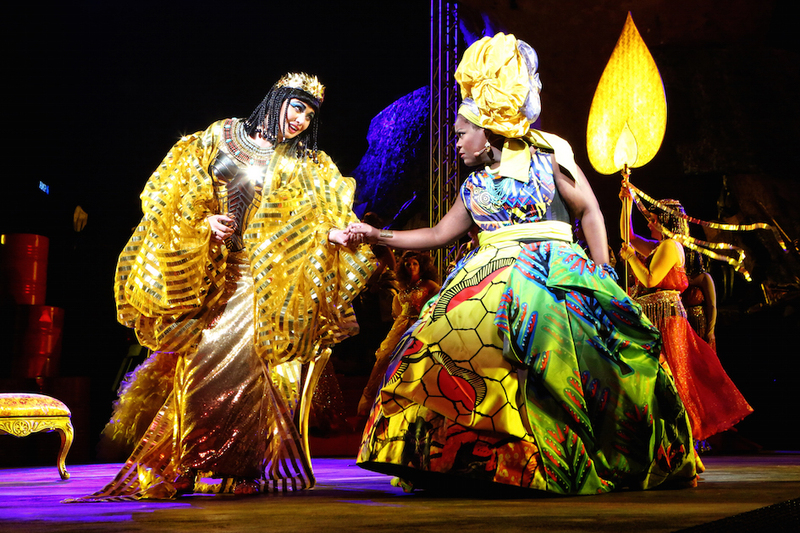 The performance of lustrous soprano Latonia Moore (below, right) in the title role was the only aspect rewarded in Handa Opera on Sydney Harbour: Aida. Likewise, Warwick Fyfe was the only nomination for Victorian Opera’s cutting edge presentation of The Flying Dutchman. MSO’s concert presentation of The Damnation of Faust was a worthy nominee for Best Symphony Orchestra Concert. The complete absence of new original Australian opera The Riders seems a most egregious oversight. 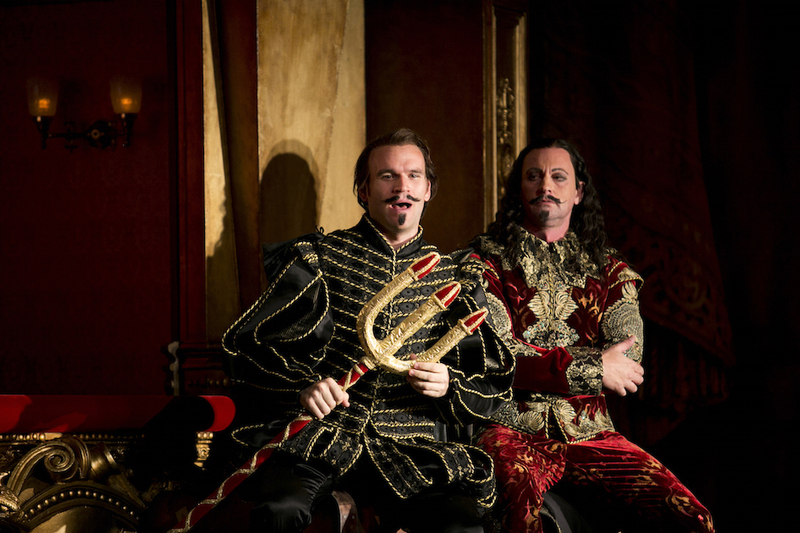 Opera Australia’s sensational return of Don Carlos will most likely be entered next year, based on its Sydney run later this year. The most highly nominated opera of the year was Brisbane Baroque’s Faramondo with an impressive haul of eight nominations. Highly successful, extremely stable arts company The Australian Ballet was all but shut out, with only one nomination, Retiring prima ballerina Madeline Eastoe was nominated for Giselle, a role she will dance in her final performance in July in Adelaide. 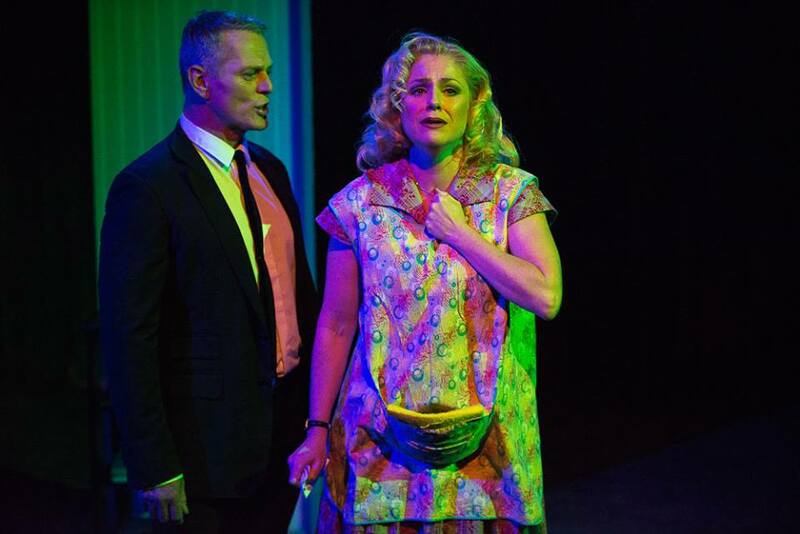 Masquerade, Produced by Griffin Theatre Company and State Theatre Company of South Australia. NSW: Presented by Sydney Festival and Sydney Opera House. SA: Presented in association with Adelaide Festival Centre and Windmill Theatre. VIC: Presented by Melbourne Festival. This project has been assisted by the Australian Government’s Major Festivals Initiative, managed by the Australia Council, its arts funding and advisory body, in association with the Confederation of Australian International Arts Festivals, Sydney Festival, Melbourne Festival, State Theatre Company of South Australia and Griffin Theatre Company. The Rabbits, Opera Australia and Barking Gecko Theatre Company, in association with West Australian Opera. Co-commissioned by Perth International Arts Festival and Melbourne Festival. The Perfect American, Brisbane Festival and Opera Queensland, in association with Queensland Performing Arts Centre and Griffith University.